Amazon marketing tool AmzDataStudio has a special offer for bulk credit purchases, valid until December 25th. Under the offer, 900 credits can be purchased for $249 instead of $360, a discount of over 30%. AmzDataStudio's features vary between 1 credit for each keyword tracked, 5 credits to extract backend search terms for 1 ASIN, 15 credits to find organic keywords for an ASIN, and 15 credits to extract keywords used for PPC by an ASIN. The offer is limited to 3 purchases per user. Amazon feedback solicitation tool Feedback Express is running a competition to win a free subscription to the service for a year. Both new and existing FeedbackExpress users can enter, and stand to win a year's subscription to FeedbackExpress worth up to GB £708. To enter, sellers need to sign up for a 30-day trial (free) using code "1YEARFREE", and will then be entered into the competition automatically. Existing customers can enter by emailing chris@feedbackexpress.com with the subject line, 1YEARFREE. The winner will be announced on Tuesday 3 October 2017. FeedbackExpress is cloud-based software solution that helps Amazon sellers automate and manage their feedback communication with buyers. The software helps sellers get more positive feedback and product reviews as well as alerting them to any negative and neutral feedback. Channel management tool Linnworks has launched their annual summer discount promotion. With this year's promo, new users can save up to 30% on a Linnworks subscription. The promotion runs throughout June and is covered in detail here. We have arranged special member discounts for The Global Sources Summit in Hong Kong, and the Internet Retailing Conference in London, UK. The Global Sources Summit is packed with informative sessions to help Amazon Private Label sellers import from China profitably. Topics range from selecting the right supplier, inspections and logistics to optimizing your Amazon listing, on and off Amazon marketing and selling your online business. The Summit is co-located with Global Sources trade shows so you can meet with China suppliers face-to-face and start sourcing right away. Web Retailer members can use the code WR50 for a $50 discount on tickets. The UK's Internet Retailing Conference aims to reflect the board-level conversation in multichannel retail. The focus is on the UK and European top 500 multichannel retailers (as researched by InternetRetailing), drawing speakers and delegates from the leading companies, and opportunities to mix with and learn from peers. A visitor-only pass is free for retailers, and Web Retailer members can claim a 10% discount on all delegate passes by using code WBR10. Peer-to-peer lending platform Bitbond is offering a special discount to Web Retailer members looking for a loan. Bitbond offers loans to online sellers globally. Monthly interest rates start at 1.0%, and terms range from 6 weeks to 5 years. Borrowers prove their creditworthiness by connecting their online seller accounts. Bitbond is offering 30% off your first Bitbond loan, for sellers with more than 300 reviews on eBay or 300 orders on Amazon. The offer is for Web Retailer members only. For details and the coupon code visit Web Retailer Special Offers. Multichannel ecommerce software providers SellerSoftware.org and 247 CloudHub have announced new offers for Web Retailer members. Low-cost provider SellerSoftware.org have extended their usual 7-day trial to 30 days. The company's goal is to provide an affordable all-in-one ecommerce solution that saves sellers both time and effort. UK-based enterprise ecommerce software company 247 Commerce have never offered a trial before, but are now also offering a 30-day trial to Web Retailer members to help sellers understand how quick and stable the system is. Full support is provided during the trial. To take up either offer visit the Web Retailer Special Offers page. Ecommerce platform BigCommerce has a new offer to encourage online retailers to move over to its Enterprise edition. The offer provides thousands of dollars in savings when migrating to BigCommerce Enterprise from Magento and other competitive platforms. Qualifying brands can receive up to six months of free service, as well as specialized support from BigCommerce's in-house team of catalog transfer and onboarding specialists. "Retailers are finding that the burden of managing custom-built or legacy platforms like Magento is limiting their ability to keep pace with retail trends and consumer shopping preference," said Russell Griffin, vice president of Enterprise sales and channel for BigCommerce. "For online brands that feel constrained by their current platform or wary of embarking on a costly upgrade path, this offer provides a streamlined and budget-friendly path forward on BigCommerce Enterprise." This offer requires a contract for up to 2 years' paid service. Ecommerce management tool Linnworks has a promotion running with 20% off monthly subscriptions and up to 35% off annual plans. Linnworks is also offering a prize of an annual Linnworks Enterprise subscription with unlimited users, unlimited products, phone support, six hours of training and free setup worth over $10,000 in total. Linnworks links 65 webstores and marketplaces so inventory, listings, orders and shipping can be managed in one place. eBay store and listing design company Just Template IT are offering a 25% discount during December 2015. Writing on their blog, company founder Sean Sale said, "With the success of Black Friday and Cyber Monday we are continuing this month with our 25% offer throughout December. We appreciate its a busy time for all sellers this month. Drop us an email or call us on 0121 285 1050 for our prices." Product research tool Trendosaur is running a generous limited-time offer for Web Retailer members. The offer reduces the Trendosaur monthly subscription fee from $29 to $9 per month for life. Web Retailer also has special offers running with Appeagle, Currencies Direct, Ecomdash, get4it, JoeLister, logicsale, plentymarkets, RepricerExpress, Swatchify, Worldwide Brands and XSellco. The discount codes are shown to registered and logged-in Web Retailer members. Not a member? You can join for free. Currency exchange company World First has partnered with arbitrage tool ProfitSourcery and fulfillment service FBA Prep UK. Mark Bond, e-commerce expert at World First, said; "We're committed to helping online sellers globally find better and more efficient ways of operating and it's great to find two partners that share that objective. For international etailers, selling into the UK brings huge opportunities but no shortage of headaches too. Our friends at ProfitSourcery and FBA Prep UK can help our clients find peace of mind that they're stocking the right inventory and that it's in good condition and correctly prepared before warehousing." FBA Prep UK is offering World First clients a £20 account credit via this link. ProfitSourcery is a subscription service for those who sell on Amazon UK, providing them with data on the fastest selling 1% of products on Amazon in each category. FBA Prep UK is an intermediary service for Amazon sellers using Fulfillment by Amazon (FBA), providing quality inspection, preparation and labelling. Marketplace and inventory management tool Ecomdash has a new exclusive offer for Web Retailer members. Our members can now receive their first month (after the trial period) on Ecomdash for free. Visit Web Retailer Member Offers for terms and details of how to take advantage of the offer. Currency exchange service Currencies Direct has a new offer exclusively for Web Retailer members. They are offering Web Retailer members 60 days of free currency transfers (usually £10 or equivalent per transaction) for new customers selling on Amazon internationally. Currencies Direct helps sellers save at least 2% of international sales by avoiding marketplace exchange rates. Visit Web Retailer Member Offers for details of how to take advantage of the offer. A new discount from logicsale gives Web Retailer members three months of the service for the price of one. logicsale scans Amazon prices every 3-5 minutes, can target the Buy Box with its BuyBoxCatcher feature, and identifies opportunities to gain margins and sales. Repricing strategies can exclude competitors and target FBA or non-FBA offers. logicsale support is available by phone and email. Web Retailer members can get the logicsale offer code here. Video training site UnderstandingE, for marketplace selling with Magento and M2E Pro, is offering a £1 trial for new users until Friday 12 June. After the first month triallers will move to the normal subscription price of £24.99 per month. The offer also includes a 60 day money-back guarantee. XSellco have agreed to extend their standard 14 day trial to two months for Web Retailer members, on both their Fusion and Price Manager products. XSellco Fusion is a customer support tool for Amazon and eBay sellers, and XSellco Price Manager helps Amazon sellers win the Buy Box more often. Get the offer code here. Ecommerce inventory management tool Ecomdash is offering two months free for new users who sign up before 15 May 2015. "We're very excited to share this promotion with the ecommerce industry, and are anxious to see how it impacts new users," said Laura Greeno, Vice President of Marketing for ecomdash. "On average, our customers experience an increase in sales by 23 percent, quarter over quarter. We are eager to see how retailers using the spring promotion will grow and scale while using our multichannel software." Greeno added. Sellers should use promo code SPRING15 when signing up with ecomdash to get the offer. Ecommerce research tool get4it is offering Bigcommerce sellers 30% off its standard fees for the first 90 days, in addition to the standard 14-day trial. "get4it is proud to partner with Bigcommerce to offer competitive pricing intelligence to online retailers of all sizes," said James DeBoe, CEO, at get4it. 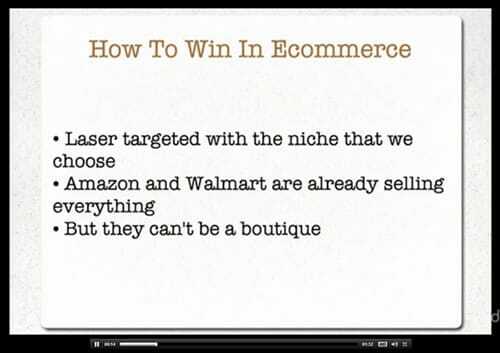 "We believe Bigcommerce is one of the best offerings for online retailers to bring their products to market. We are dedicated to offer every one of the 60,000+ Bigcommerce customers a competitive advantage through pricing intelligence." get4it helps online retailers identify which products need to be repriced, to help them price competitively and sell more. Their algorithm takes into account seller feedback and other factors to ensure merchants are making the right pricing decisions. Multichannel ecommerce software company Linnworks are offering discounts of up to 35% both for existing customers, and for trial users who register by January 26th, 2015. Existing customers and trial users will receive a discount code by email from Linnworks. A discount code will also be sent to Web Retailer members on 19 January. Linnworks are also extending their money back guarantee period from 14 days to 30 days for anyone who takes up the offer. Those using a discount code will also be entered into the previously announced prize draw to win a trip to the ThinkGlobal Retail conference in Las Vegas this August. Ecommerce solution Sellbrite has introduced annual price plans offering up to a 25% discount over monthly subscriptions. 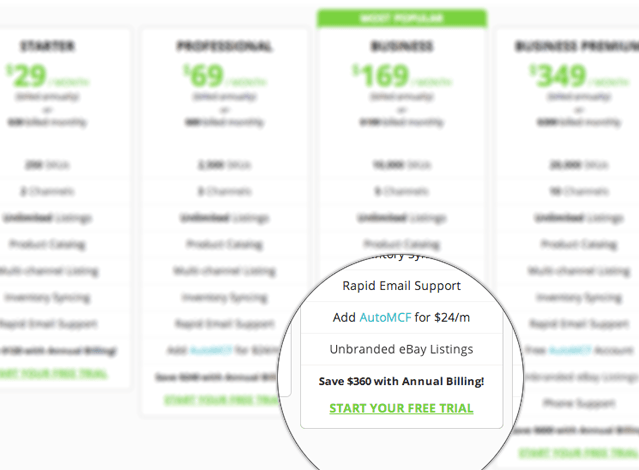 Annual billing can save Sellbrite users up to $600 per year. Annual subscribers can still upgrade or downgrade their plan and will receive a prorated credit. Ecommerce technology company Linnworks is running a competition with a top prize of a trip to the Think Global Retail conference in Las Vegas. A 12 month subscription to Linnworks Anywhere Enterprise, worth £6,800. A 12 month subscription to Linnworks Anywhere Pro, worth £4,300. A 12 month unlimited subscription to MeanRepricer, worth £3,500. 5 Amazon vouchers of £100 each. All existing Linnworks customers will be invited to enter the competition by email, as will new customers starting a trial before January 26. Multichannel management system Linnworks has two discounts available until 1 September. The company is offering a 25% discount for new customers with offer code FB25LP, and a 10% discount for existing customers with offer code KEXH10. The 25% discount is for new Linnworks accounts only, and applies to the account indefinitely. Both offers have to be claimed by 1 September. A new online course by Bootstrapping Ecommerce's Shabbir Nooruddin has been launched, with a 20% discount available for Web Retailer members. The course price is $47 but Web Retailer members can get a 20% discount with code "WEBRETAILER". Shabbir is available for questions, comments and concerns during the course, which comes with a 30-day money-back guarantee. More details and course preview. eBay management tool SixBit has doubled their offer to former eBay Blackthorne users. SixBit offered a 30% discount to the first 1,000 Blackthorne users to trial their software, following eBay's announcement that Blackthorne would be retired completely on 30 September 2014. The company is nearing the 1,000 user limit sooner than expected, so is doubling the offer to apply to the first 2,000 Blackthorne users. SixBit has also announced that a module for consignment sellers will soon be released to beta testers. Amazon repricing supplier Feedvisor is running an online marketplaces survey, and will provide participating sellers with a detailed report for free. The Marketplace Seller Report 2014 will include a benchmarking section, showing how well sellers performed against their competition, what tools and software sellers use, and which marketplaces, categories and products are gaining momentum. The insights section will show which products and categories to invest in, tte most popular tools and software, and how to continuously win the Amazon Buy Box in 2014. To receive a copy of the report take Feedvisor's Online Marketplace Seller Survey. Multichannel management software supplier Linnworks is running a competition to win prizes including 12-month subscriptions worth thousands of pounds. Multichannel ecommerce management tool StoreFeeder is offering a three month free trial to owners of Featured and Anchor eBay UK Shops. eBay has taken the unusual step of promoting the offer on its Shops sign-up page. StoreFeeder itself does not usually offer free trials, although online demos are available. Wholesale sourcing directory Worldwide Brands is running a promotion offering a $40.00 discount for new members. The Christmas in July promotion is focused on retailers preparing for the holiday sales, and runs from today to the end of July. Ecommerce management software SellerExpress is offering a 20% discount to any new clients who trial their software during the Wimbledon fortnight. John Hayes, a non-executive director at the Derry-based firm said: "The summer months are traditionally a time when online sales take a dip. It is during these months that online sellers need to be looking at ways to optimise their businesses—ensuring they have the right software in place to manage their retail business when things start to get busy is essential." The 20% discount will apply to the first two months paid subscription. Marketplace management software provider Seller Dynamics have partnered with wholesaler Wholesale Clearance to provide discounts to mutual customers. Clients of Wholesale Clearance can use Seller Dynamics for a setup fee reduced from £349 to £99 per marketplace, and Seller Dynamics customers will receive either a 10% cash discount or 20% additional goods on their first Wholesale Clearance order. Marketplace management software provider Vendio is running two surveys, with a draw for $50 gift cards. The surveys, which can be taken here and here, cover eCommerce channels and eCommerce business respectively. Those who complete either survey will receive the survey results as well as entry to the draw for gift cards. eBay app developer 3Dsellers is offering free advice on the hosted eCommerce service Magento Go. Magento, a popular shopping cart system owned my eBay, launched its hosted "Go" service in February 2011. More information on 3Dsellers' offer. Sales management solution for book and other media sellers Monsoon has made an agreement with the American Booksellers Association to offer its software to members at a reduced fee. "This partnership highlights the Monsoon Commerce Solutions commitment to providing the best online solutions available to the market, whether a store is small, large, or somewhere in between," stated Brian Elliott, CEO of Monsoon Commerce Solutions. "Over 100 ABA members already use one or more of our services, and we’re excited to help even more ABA members grow their sales." Monsoon desktop or hosted software supports over a dozen online marketplaces including Amazon, Barnes & Noble and eBay. Sniping service Bidnapper is running two offers for new customers to obtain one year of free sniping, worth $49.99. The first offer is for users of competitive services AuctionStealer, eSnipe, Auction Raptor, JustSnipe, Snip, PowerSnipe, and myibay. Existing users of those services can switch to Bidnapper here. The second offer enables eBay sellers to offer their customers a coupon for a free subscription, at no cost to the seller. Sellers can create coupons here. Stone Edge Technologies is offering a 10% discount on all orders until the end of February to celebrate the 10th anniversary of its Order Manager software. "Most of our users are still small companies that ship 10 to 500 orders per day," said Barney Stone, founder and president of Stone Edge Technologies, Inc. "But as we have grown over the years, so have many of our clients, and in 2009 we had eleven users in the Internet Retailer Top 500, with some of them shipping four to five thousand orders per day." Only one order management systems is used by more of the top 500 merchants, and that system is priced in the $250,000 to $500,000 range, compared to $6,000 for the most expensive version of Stone Edge Order Manager. The 2010 Stone Edge User Conference will take place on April 23-25 in Philadelphia. Register here. PlayTrade have agreed to waive the ProTrader account fee for three months, for accounts opened by Tradebox clients in October 2009. PlayTrade is an online marketplace launched by Play.com in March 2007. ProTraders pay a monthly subscription fee of £19.99 instead of a 50 pence per-item closing fee.